Call us at Life Health Centers to for a consultation to learn how we can help you relieve your sciatica. Nerve pain has the potential to dramatically reduce your quality of life – leading to depression, sleep disorders, or limited mobility or functionality. Unfortunately, nerve pain is a common condition amongst Americans. Nerves are present throughout our entire body and they assist us in performing every physical task. Damaging a nerve can be as easy as damaging a muscle. The most common form of nerve pain is sciatica (pain which radiates from the sciatic nerve). At first, many people believe they have injured a muscle in the lower back or leg as the sciatic nerve is in close proximity to these muscles. Those who have chronic sciatica can eventually develop weakness in the muscles which are adjacent to the sciatic nerve. Chronic lower back pain can lead to decreased motility and pain can worsen over time if not treated properly. How Will I Know if it’s Sciatica? Because the sciatic nerve is the largest nerve in the human body, connecting to a large portion of the lower body, sciatica-related pain can be debilitating. The pain can come on suddenly or gradually. In addition to pain, you may experience tingling and numbness anywhere from your lower back to the area behind your knees. 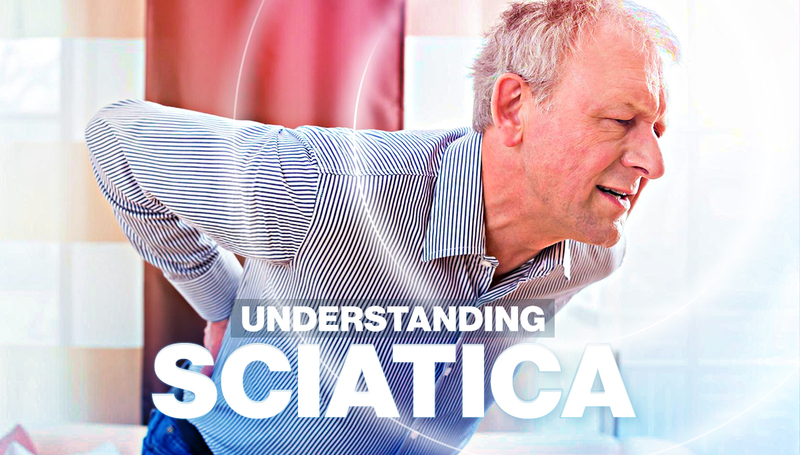 To determine if you have sciatica, a proper medical diagnosis is required. This will likely include an x-ray and nerve conduction velocity studies. Most often, sciatica results from a herniated lumbar disc in the spine which ends up pressing against and irritating the sciatic nerve. This is commonly referred to as a “pinched nerve.” Occasionally, sciatica can result from other causes such as a spinal injury, tumor, or pregnancy. Heating pads: by placing a heating pad on the areas which are affected by pain, the blood vessels in these areas will dilate, relieving pain in the surrounding tissue. Massage therapy: a licensed massage therapist can effectively relieve tension in the surrounding muscles and tissue. Alternating hot and cold compresses: by applying heat to the inflamed areas, blood vessels will dilate to relieve tension. Following this with a cold compress will minimize inflammation related to nerve pain. Capsaicin cream: this cream contains the ingredient that gives peppers their intense heat. This cream will be absorbed into the tissues and send pain-prohibiting signals to the brain. Yoga: by stretching out the muscles associated with sciatica, leg and lower back pain can be minimized. Contact us today at Life Health Centers for more information on sciatica or any pain issue.